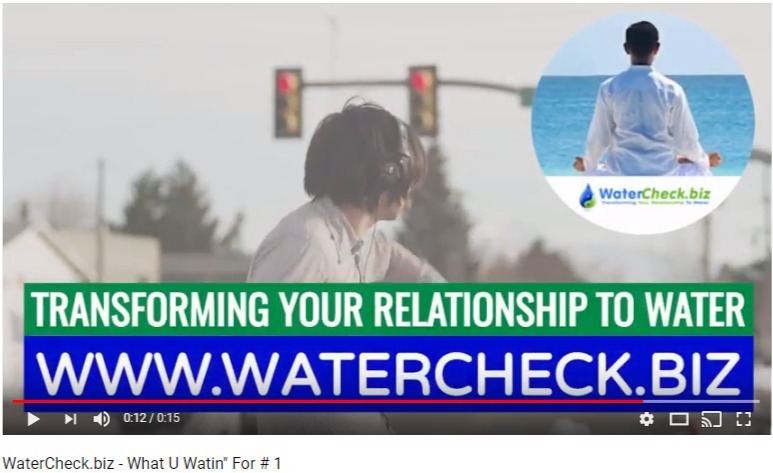 WaterCheck.biz Announces New Video Ad Campaign - "What U Waitin' For"
The new "What U Waitin' For" video campaign focuses on celebrating water with a series of jubilant and emotional :15 second spots. KINGSTON, N.Y. - Sept. 13, 2017 - PRLog -- WaterCheck.biz is excited to announce the launch of our new, values based, video ad campaign - "What U Watin' For" - connecting with the growing water consciousness sweeping our planet. WaterCheck.biz has consciously created the video campaign to be multicultural - simply because water appeals to all people. "Water is the great equalizer and people of all nationalities, religions, races, creeds and colors. Our goal was to create a campaign full of celebratory moments - effectively communicating the deep, primal connection that all human beings have with water," said Leslie Gabriel, CEO of WaterCheck.biz. "After a series of ongoing water protests, catastrophic events and policies; there has been an awakening and growing water consciousness sweeping our planet. WaterCheck.biz stands with all water loving people around the world. In our company H2O is priority numero uno, Mr. Gabriel added."